The SM A Frame Display as a versatile way to display messages at sporting or other events when they need to stand out in a crowd. 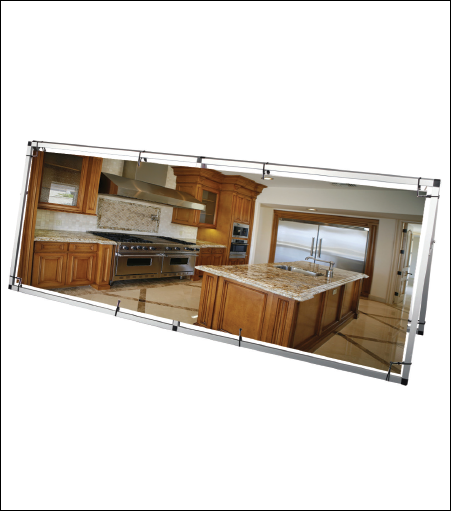 Designed to hold a single or double sided banner, the aluminum frame i quick and easy to assemble. Finish with #2 grommets. 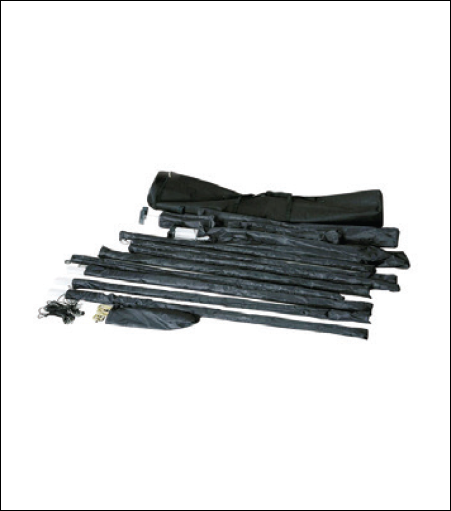 The display includes bungee cords for attaching the banner and ground stakes. All packaged in a convenient nylon carrying case.